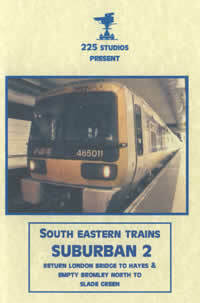 This DVD has been compiled to celebrate the 25th. anniversay of the last RT in public service and is a rich compilation featuring central, country and Green LIne locations. Earliest scenes late 1940s; tram and trolleybus route conversions; glory days of the mid-1950s; the busy 101; Green Line; goodbye 8 footers; RTL swansong; Aldenham staff buses; RT10s; trainers; PLA special service; Blackwall & Rotherhythe tunnels; last roof box; London Country; the long run down; scrap yard fun & games; final parade from Barking Depot, April 1979. Also, the family in other hands including Sri Lanka, South Africa and Scotland. PCC's and other car types at Cincinatti, St.Louis, on the Pacific Electric, at Kansas City, Montreal, Dallas, Cleveland, Twin Cities, Birmingham, Detroit, Johnstown, Shaker Heights, San Francisco, Illinois Terminal. 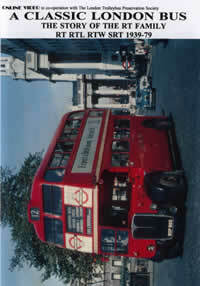 Commemorates the closure of Portsmouth's trolleybuses in July 1963. It features a mix of film (mostly colour). 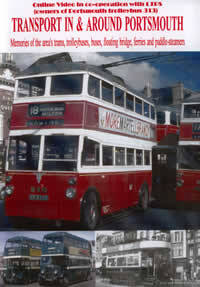 There are rare scenes of Corporation (including some in colour) and Portsdown & Horndean trams in action; pre-war & early post-war trolleybus activity; ride to Floating Bridge in 1948; see 201 & 6-wheeler 214 in service; watch a Walsall visitor; follow the bus replacement programme; take a trolley to most parts of town with detailed coverage of services 5/6 and 17/18; shiver in the snow; explore peak hour workings; visit a scrap yard; admire 313 in Bournemouth; discover today's remains. SPECIAL FEATURES: the long closed Floating Bridge; Paddle steamers Whippingham, Sandown, Shanklin and RYDE; Southsea's miniature railway; some local railway activity. Atmospheric views of cars, fashions, long-vanished buildings and street furniture! Memories of the city's trams, trolleybuses, buses, floating bridge, ferries & paddle-steamers using archive footage, some from the 1940s. 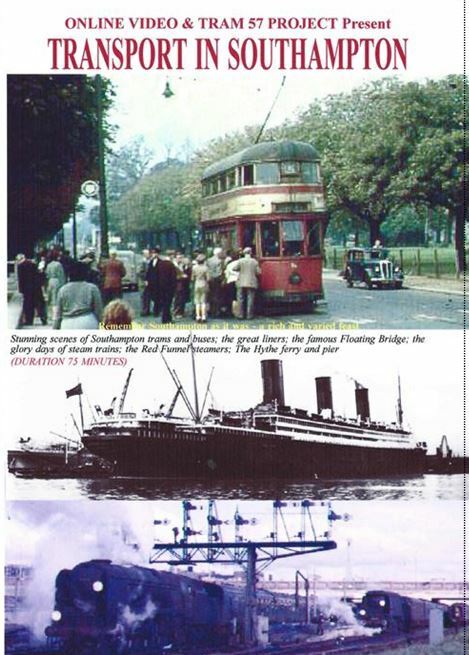 Scenes of Southampton's trams and buses, the great liners; the Floating Bridge' steam trains at work in and around the Docks and terminal station. THE QUEENS; MAURETANIA; CANBERRA. Also freighters, tugs, Red Funnel steamers, hovercraft & a host of majestic foreign vessels. Bargate. 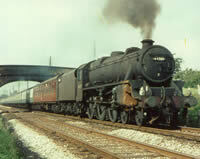 Also - rush hour open-toppers at the Docks; a ride from Bassett to Portswood; post­war action with the famous domed-roof 'Bargate' cars; the last of the knifeboards; views along route 5 (Shirley-Floating Bridge) in 1949; last day activity including. 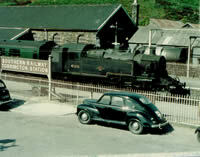 the illuminated car in colour; those sold to Leeds & those that 'escaped'. BUSES - the locally-built 6 wheeler & convoys of Guy Arabs. 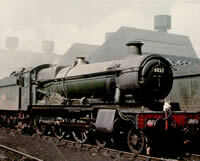 CORRALL QUEEN; boat trains & Pacifies; Terminus station. 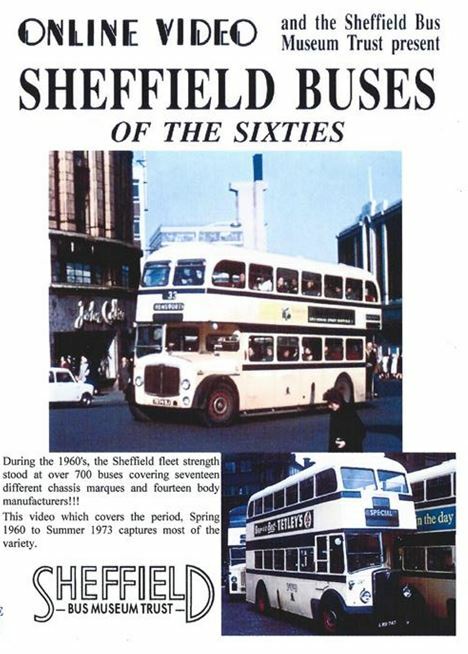 During the 1960s, the Sheffield bus fleet strength stood at over 700 buses covering 17 different chassis marques and 14 body manufacturers. 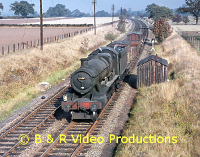 This vido covers the period Spring 1960 to Summer 1973.